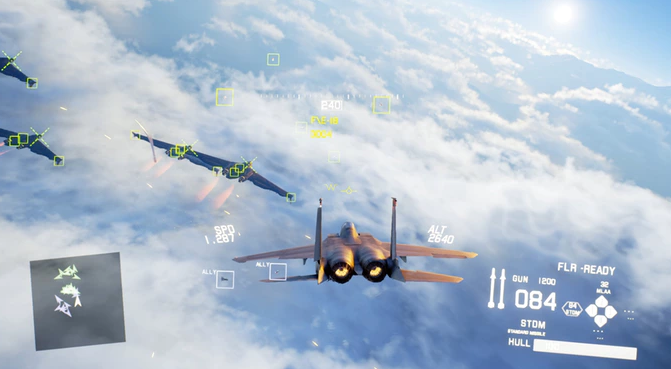 Independent game developer Abi Rahmani, also known as RB-D2 is currently working on a combat flight action game titled Project Wingman. It focuses on aerial dogfights with a variety of fighter planes to choose from. The Kickstarter campaign currently has a pledged fund of $52,756 which exceeded their goal of $26,491. The game bears a resemblance to the popular Playstation game Ace Combat, and offers a fast-paced and immersive flight experience. A demo for the game is currently available with three modified missions for single-player campaign. Three playable air crafts, and over ten unique weapons to play with. The game is set to release for the PC in May 2019. The Kickstarter campaign offers various rewards depending on the amount of funds pledged. Interested players can view the Kickstarter page here.